As usual, we found Simon Ziff and his illustrious friends at the center of the action in Lavo earlier this week. 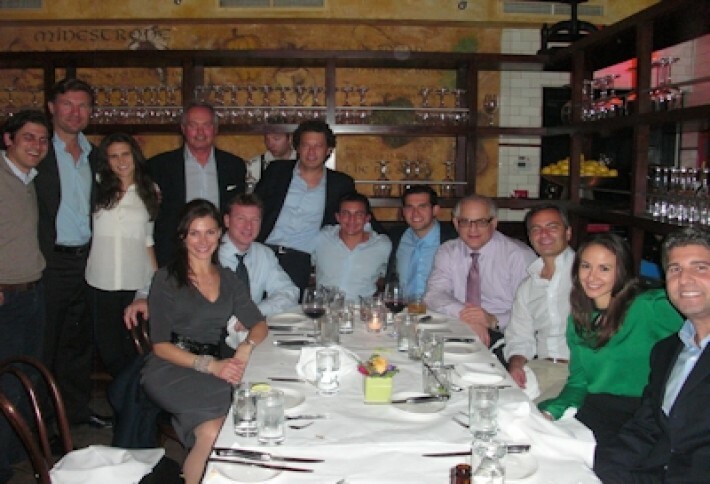 Simon says he finds a high correlation between enjoying time with colleagues, clients, and bankers and executing great capital raises, hence the Ackman-Ziff weekly dinners. "If you haven't figured out this is a relationship business, then you're in trouble," Simon says. Having dinner with real estate friends? Why yes, that sounds great. Thanks for the invite. Email amanda.metcalf@bisnow.com.